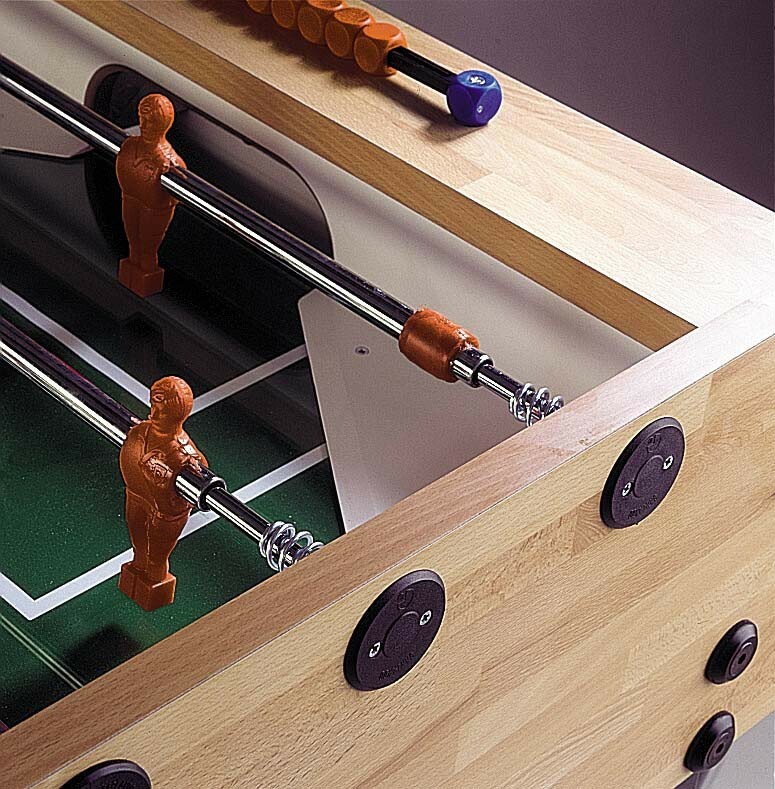 The Garlando G-500 Butcher Block Foosball Table is the top-of-the-line Garlando freeplay foosball table. This is a superior model boasting an elegance at the same time classical and sophisticated, constructed in the highest quality materials. Lacquered beech-wood legs with leg levelers. The distinguished cabinet outline, graceful slanted legs, and soft new colors make the table the right one for those who have a taste for style and refinement. 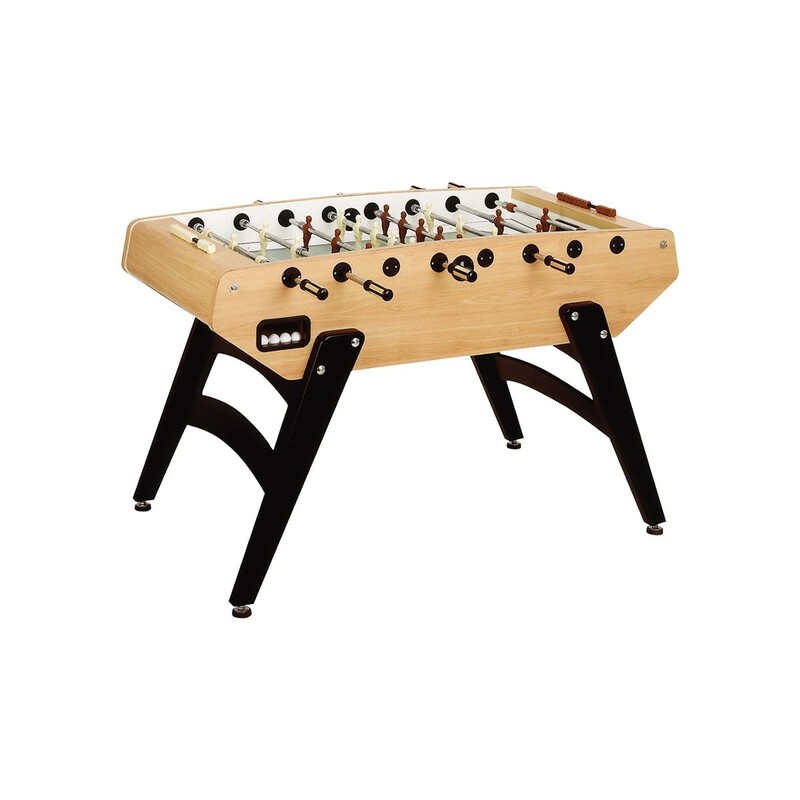 The G-5000 stands out from the other models thanks to details such as the wood-inlaid plastic handles for a more comfortable grip, the leg levelers for a perfectly flat playing field, and the plastic laminated playfield with silk-screen white lines. The brown and ivory men and score counters contribute to the elegance of the table. The cabinet is constructed from high quality multi-layer plywood (3cm thick = 1+1/4in) coated with pear wood plastic laminate. 4cm (1+1/2in.) slanted legs are constructed from finely lacquered beech-wood and provide optimum stability. Each leg has an adjustable leveler for a perfectly flat playing field. 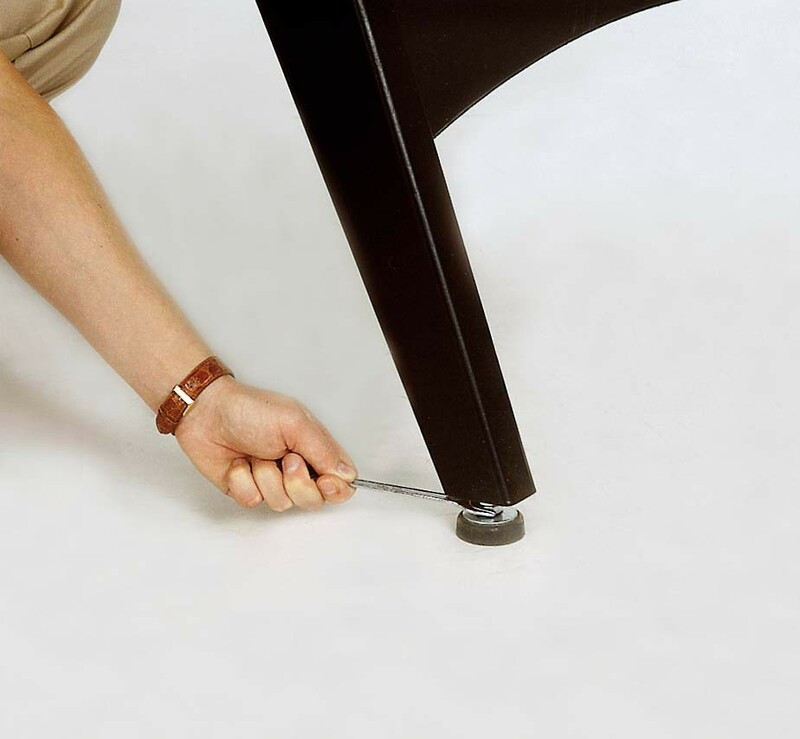 Levelers can be set manually, with no need for disassembling the legs. High stress resistance machine-trued hollow steel bars - diameter 16mm - coated with anti-rust chromium-plating. The quality of the materials used add to the thickness of 2.2mm to prevent the bars from bending. Bars are fixed to the cabinet by means of nylon ball bearings. Ivory and brown one-color players in plastic material (moplen) representing a stylized human figure, are directly molded onto the bars: they do not move, cannot be displaced and maintain their positions perfectly. Professional plastic handles with wooden inserts to reduce perspiration and improve grip. Inside goals are coated with felt to reduce noise and prevent ball chipping and bouncing off. 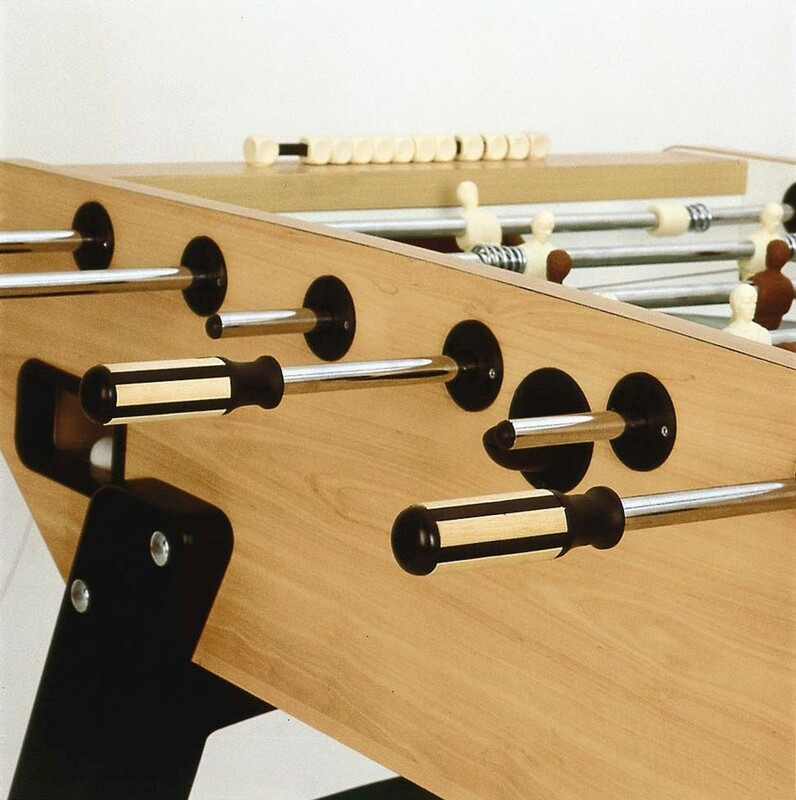 A ball pocket on each cabinet side allows easy and quick ball retrieval. Includes color coordinated abacus scorers and 10 white standard balls. Assembled dimensions: 59-1/16" L x 47-1/4" W (with rods) x 36-7/32"H; 176.6 pounds.